Hi folks, I have moved my site to www.facebook.com/f1modeling. Check out You can find a lot of my detail F1 models diary there. Support Modelersite.com. Purchase online modeling article or contribute your articles. Check out my for-sale items on . From time to time, I sell some of my hobby collections there. Check out Model Car's Fanatic Great great F1 models from Ishii Akihito in Japan!! Check out F1 Specialties F1 model specialties store. Norm has a lot of goodies there. Check out F1M Community. There is a group of F1 modelers discussing and exchanging ideas there. M & S Hobbies is great online shop for racing car models. Mark is a great and friendly guy. I bought F1 aftermarket accessories from time to time. 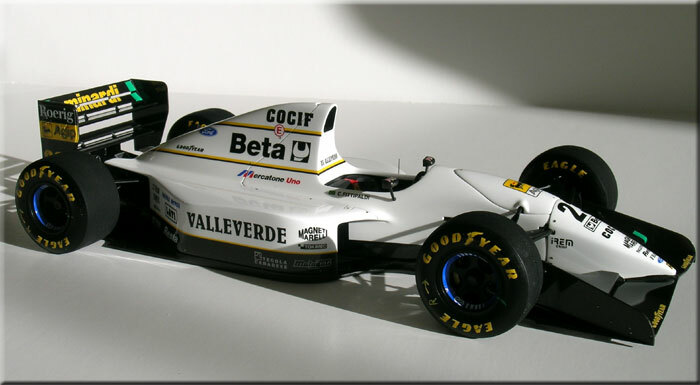 Best Balsa Kits of Beligum check out with Wim, Wim has a lot of goodies for F1 modeling. Hobby Link Japan is great online shop for plastic models. Rainbow Ten is another great online shop for plastic models. I have been shopping with them since 1997. Yoshi Car Blog - great Japanese F1 modeling blog. Roll Out Model Blog another great Japanese F1 modeling blog. Formula Gallery - Formula Gallery from Japan. Kawahara Model - Kawa Hara F1 Modeling Blog from Japan.